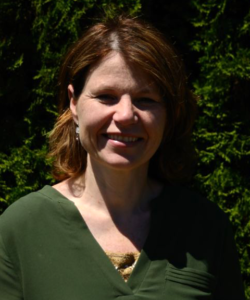 Theresa received her DVM (with distinction) and MSc in Theriogenology from the Western College of Veterinary Medicine and her PhD in Epidemiology from the University of Guelph. She is Board Certified with the American College of Theriogenologists and is a member of the College of Veterinarians of British Columbia and the Canadian Veterinary Medical Association. Theresa came to the CCH as a post-doctoral fellow in 2010, and since then, has continued to work at the CCH as a veterinary epidemiologist. She integrates research methods from multiple disciplines to understand complex issues at the interface of human-animal-environmental health in Canada and in other countries. Her experience in national and international research projects and in clinical veterinary practice has given her a strong working understanding of farming practices, food production systems and rural communities. Her work continues to teach her valuable lessons about the importance of understanding systems and stakeholder perspectives in order to develop real-world solutions to complex problems. At the CCH, Theresa is involved in project design, collection and synthesis of literature and expert knowledge, participatory research, qualitative and quantitative data collection and analysis, and translation of project research into reports, presentations and publications. Some highlights of Theresa’s work with the CCH include: 1) planning and participating in a 24 month international collaboration to explore strategies for emerging infectious disease in Asia; 2) planning and participating in a four-year multi-stakeholder project that used qualitative and quantitative epidemiological methods and participatory research to reduce disease and improve farm sustainability for smallholder shrimp farmers in Sri Lanka; and 3) working with colleagues in government and the farming sector across Canada to improve our capacity for endemic disease surveillance in livestock. Theresa volunteers with Veterinarians without Borders Canada, the College of Veterinarians of BC, and Chilliwack Community Services.